Singer-songwriter with soul and jazz influences who won the 2017 Eurovision Song Contest with the song "Amar pelos dois." He became the highest-scoring winner in Eurovision history with 758 points. At the age of 10, he appeared in the TV show Bravo Bravissimo. He also competed on season three of Pop Idol in Portugal at the age of 20. He gave Portugal its first ever win in the Eurovision song contest since the country's debut in 1964. 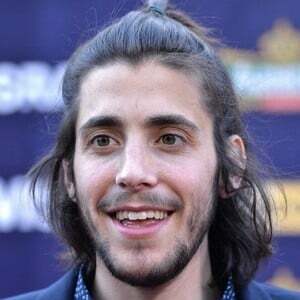 The song he performed at Eurovision was written by his sister and fellow singer, Luisa Sobral. He and fellow singer Tooji have both performed at the Eurovision Song Contest.